Because I want to remember it all...: Halloween. Every week Simon asks to be something new for Halloween. Every week. Sometimes multiple times a week. I love his imagination and his love for make believe, so I just say "okay" and off he goes to play some more. This is one of those things that I will miss with all my heart once I realize it's gone. I wonder when he'll dress up on a non-October day for the last time. Hopefully, that day is still far away. 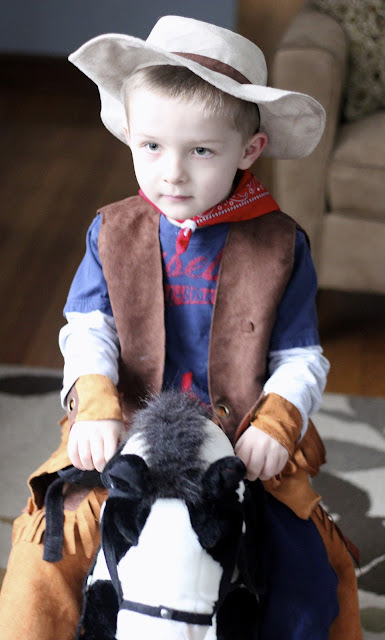 This week we got a little cowboy.